For the first time this year, London swelters under hot sunny skies. We took a walk from our home in Highgate across the Heath to Hampstead. Gardens for once look dry and weary, signalling the start of late summer. Hydrangeas and Japanese anemones luxuriate in the shade. The pace is slow in London at this time of year, anyone not on holiday is making the most of sunshine and the city’s relative August emptiness. The ponds on the Heath were packed with swimmers and every inch of sun and shade was being taken advantage of for picnics, newspaper reading or sunbathing. Our mission was to find somewhere nice for lunch (well done to The Wells in Well Walk, which is always good) and to visit Fenton House, a rare National Trust property in this part of north London. More on that shortly. Whilst the ground might be dry, this is surely the best time of year for annuals, grown large and abundant and dripping with flowers. 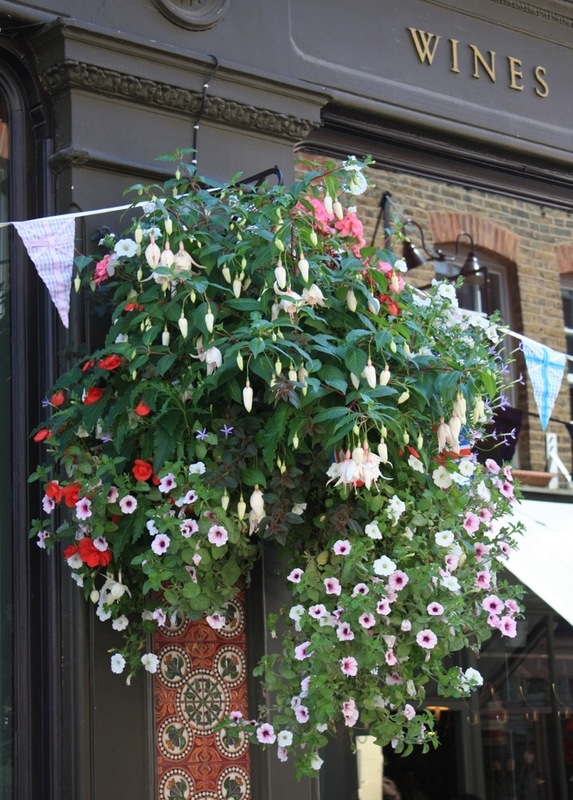 All they need is copious watering, plenty of sunshine and regular deadheading to look as good as they do above – in a large hanging basket outside The Flask in Flask Walk. Hampstead is blessed with money and the kind of pubs that care about looking good outside as well as in. 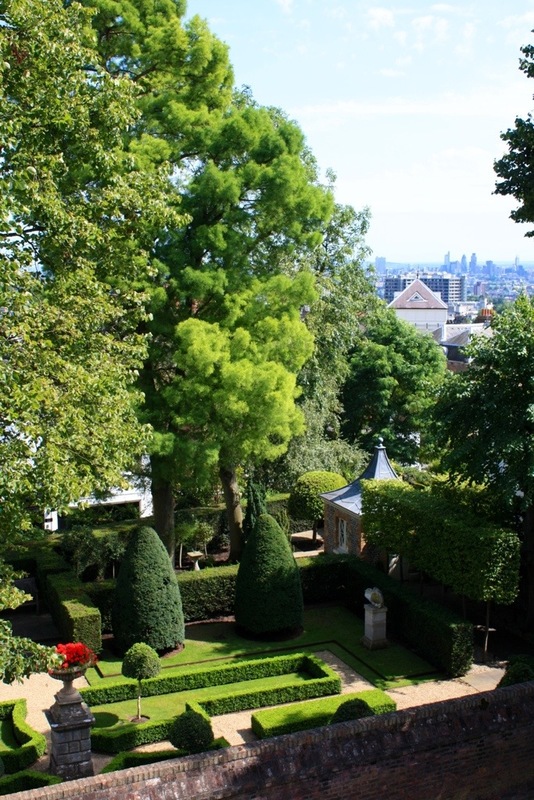 Below, the view from the roof of Fenton House, across the gardens of wealthy neighbours to the city beyond. Those with good eyesight will spot the Gherkin in the distant haze. Now where’s my gin and tonic? Thanks Soundeagle. Hope you enjoyed my post!